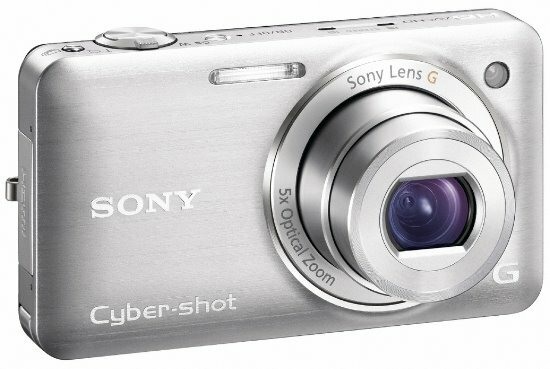 SAN DIEGO, July 7, 2010 - Sony today unveiled two new Cyber-shot® digital still cameras (models DSC-TX9 and DSC-WX5) that are the world's smallest 3D cameras, capturing 3D images with a single lens system using a sweeping motion. "Sony is focused on being the leader in 3D technology, leveraging its expertise to create the best 3D products, content and unique entertainment experiences," said Kelly Davis, director of the digital imaging business at Sony Electronics. "Sony is making it easy to create personal 3D content that can be enjoyed with friends or family on compatible 3D television systems." The DSC-TX9, which has a 3.5-inch 921k resolution LCD touchscreen, and the DSC-WX5, which has a 2.8-inch LCD screen, also let you view images in a whole new way. Unlike 3D Sweep Panorama mode, which lets you view your 3D images on compatible 3D television systems, Sweep Multi Angle™ lets you view images moving in simulated 3D right on the cameras' LCD screen by tilting the camera back and forth. This new shooting feature captures 15 images at different angles and then compiles them into one photo, creating a 3D-like effect on the display. In addition to Sweep Multi Angle, the 12.2 megapixel TX9 and WX5 models offer new features including Background Defocus, which simulates depth of field control and Superior Auto mode, which provides low image-noise levels previously only available from DSLR cameras. Superior Auto mode also makes it easier to get cleaner, sharper more dynamic pictures and fewer missed shots. An extension of Intelligent Auto mode, the Superior Auto feature takes multiple shots to reduce image noise and extend dynamic range. The cameras automatically recognize the correct scene, then quickly shoot and when needed, combine up to six shots to produce images of greater quality than possible with a single shot. Superior Auto is the world's first auto mode that utilizes multiple shots. 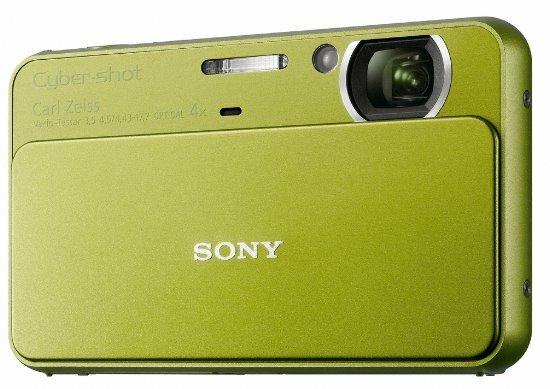 While there are other cameras with multi-shot technology, only Sony cameras know when to take multiple shots automatically. Only Superior Auto can evaluate the scene and automatically engage multi-shot technology to get the best shot. The Background Defocus mode, featured in the TX9 and WX5 models, provides artistic photos like those taken with a DSLR by making it easy to blur the image's background, putting the emphasis on your subject and creating a bokeh effect. The camera takes two shots, identifies the background and applies a defocus effect keeping your subject crisp and clear in the foreground. The Natural Flash feature also improves image quality and captures colors the way the eye sees them. This feature takes a reference shot without flash and then uses that as a color reference correction, resulting in more lifelike images. These cameras also help you focus on moving subjects. By selecting your subject on the LCD screen, the camera will keep focus even as the subject moves closer or farther away. Another new feature, Soft Skin mode, recognizes skin tones and reduces the appearance of imperfections without affecting the rest of the shot. With Sony's "Exmor R" back-illuminated CMOS sensor technology, the new cameras provide excellent low-light performance and 10fps burst shooting. With the AVCHD format, used in Sony's high-definition Handycam® camcorders, the models can record movies in 1920 x 1080 Full HD resolutions in 60i at up to 17Mbps for smooth movement during playback. They can also capture videos in the MP4 format (up to 1440 x1080 30p 12Mbps) for online sharing. In addition to its AVCHD video capability, the TX9 and WX5 cameras have Optical SteadyShot® image stabilization, helping overcome camera shake. With a Carl Zeiss® Vario-Tessar® 4x zoom lens, the compact TX9 camera lets you focus as little as 0.4 inches from your subject for extraordinary close-up shots. The 4x (25-100mm) wide-angle lens is perfect for capturing a wider view of your subject at closer distances. The WX5 camera is an ideal choice for DSLR owners who also want to carry a compact, high-performance point-and-shoot camera. With a Sony G lens (5x 24-120mm), the WX5 camera can capture an unusually wide range for its compact size and features a wide aperture (F2.4), enhancing low-light performance. 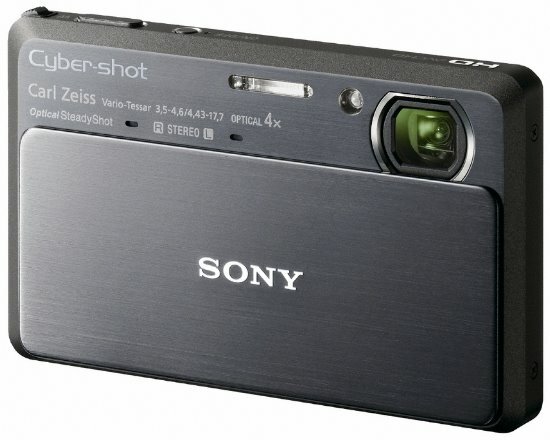 Sony also introduced today the 14.1 megapixel DSC-T99 camera--an affordable T-series Cyber-shot model that will be available for about $250. With a CCD image sensor, the camera offers Sweep Panorama® mode, a 3-inch touch screen and a 25mm-wide Carl Zeiss® lens. To give customers greater choice and enhance the overall customer experience, the TX9, T99 and WX5 cameras feature a memory card slot compatible with both Memory Stick PRO Duo™ and class 4 and above SD/SDHC formats. The cameras and a range of accessories will be available in September online at Sonystyle.com, at Sony Style® retail stores (www.Sonystyle.com/retail), at military base exchanges and at authorized dealers nationwide.